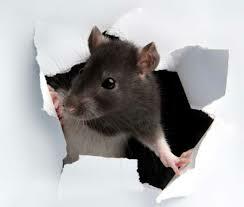 Rodent Pest Control Perth – Rodents are a problem worldwide. Apart from humans are the most successful creatures in surviving and traversing the globe. Rodents and the fleas the carry were the main reason the black plague spread far and wide so rapidly in Europe. The black plague wiped out an estimated 75-200 million people. Rid Your Home Of Rodents !!! Rats and mice are a major health risk to homes, families and businesses. They can spread a range of diseases or cause illness. A list of these diseases and health risk can be found on The Department of Health website. 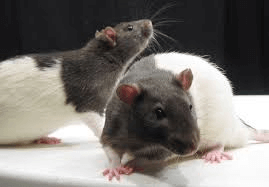 Food contamination is another major risk with rats and mice. Each year, rats contaminate and destroy enough food worldwide to feed approximately 200 million people. Not only are they a health risk they can also cause major damage to your property by chewing on or through wooden furniture, surfaces, floors, door joists also walls. Damage your homes insulation. Rodents can pose a fire risk to your premises and family as they are known to chew on electrical wires. Rats and mice tunnel and dig, this can undermine they structural integrity of a property i.e. retaining walls and foundations. Sounds, you may hear running sounds or squeaking coming from your roof at night. Budget pest control can help you avoid these help risks to you family and costly damage to your home by providing effective rodent treatment measures that are safe for your family. Budget Pest Control will inspect areas of your home to identify signs of Rodent activity, determine they type of rodent and possible entry points. After inspecting we will apply the appropriate measures to ensure your home is safe and any issue is taken care of. Lockable rodent stations available for purchase at a small extra cost. Lockable stations can be used for yards or floor areas to ensure the safety of children, pets and wildlife. Our treatments are all completed by technicians licenced by the health department and the majority come with a service warranty period to ensure the problem is taken care of and to give you piece of mind that the job is completed professionally and effectively. Should you have any questions about rodents or treatment methods or would like an Obligation free quotation please call us on 9470 6766 or simply fill in the enquiry form below and we will get back to you as soon as possible.